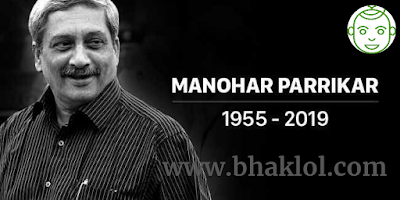 Goa Chief Minister Manohar Parrikar has passed away. Manohar Parrikar was an Indian politician and leader of Bharatiya Janata Party who was the Chief Minister of Goa from 14 March 2017 till his death. Previously he was Chief Minister of Goa from 2000 to 2005 and from 2012 to 2014.